The Walking Dead Week: What’s in Wave Five? 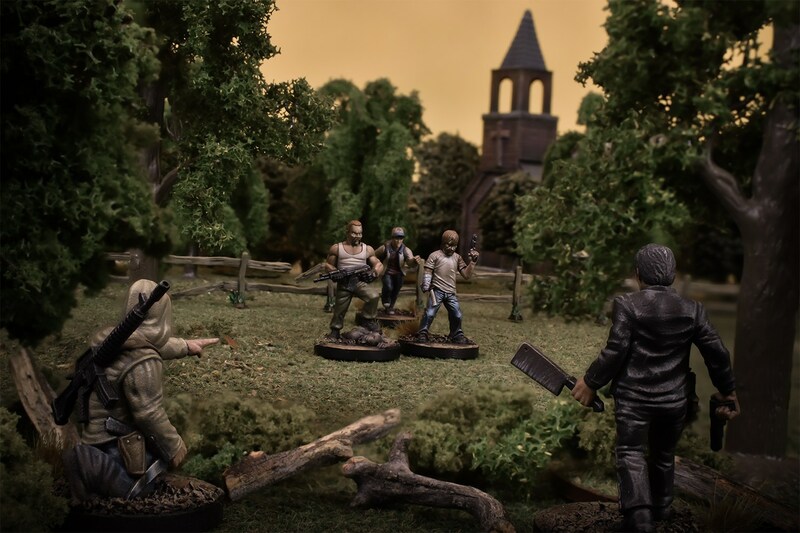 In today’s blog, we’re looking ahead at what’s in store for Wave Five of the The Walking Dead: All Dead All Out War. As you should hopefully know by now, Wave Five focuses on the Hunters. This is one of the last significant groups Rick encounters before he settles in Alexandria and then it all kicks off with Negan! As with previous waves, the heart of the next wave will be a brand-new expansion: Fear the Hunters. And, just like previous entries into the series, Fear the Hunters will add new rules to make the game more challenging and exciting for players. 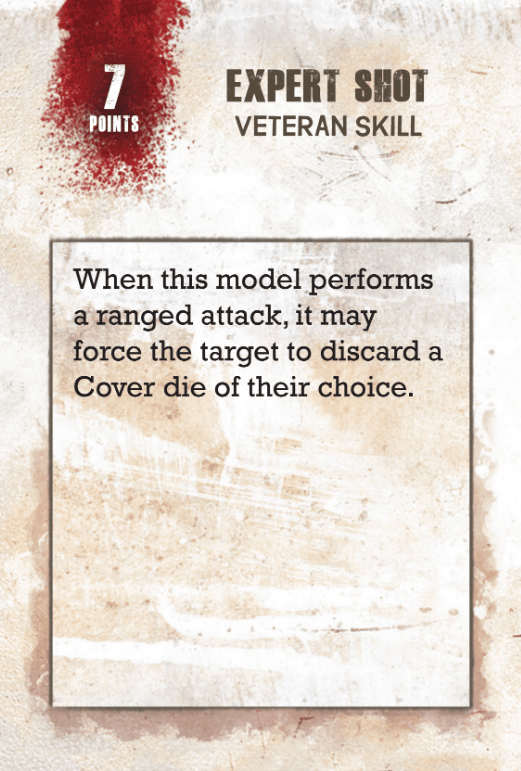 One of the most interesting elements about wave five is that the Fear the Hunters expansion and the supporting booster packs contain Veteran Skill cards. These are special rules that you can purchase for your Survivors when choosing your group. These are treated just like Equipment cards, except they don’t take up a slot, and are always in effect. They can be applied to existing characters – they are not exclusive to Custom Survivors. Veteran Skills will be a great way of mixing up your gameplay with existing characters by giving them a little boost. Always fancied improving Rick’s shooting? Well, what about the Expert Shot skill? Fancy giving one of your Runners the Distract ability, so they can choose where they make noise from – well the Veteran Skills are your friend. We can’t wait to see some of the wicked combos that people come up with when using these new abilities. The other huge addition to the core All Out War rules is the addition of Map-based campaign rules. With a map campaign, you can create your own story. You select your fledgling group and make your way across the abandoned American landscape, scavenging for supplies and vying for territory and supremacy in a world ravaged by Walkers and rival Survivor groups. The campaign map in Fear the Hunters features the area surrounding Washington DC, but once you’ve played a few times you may wish to create your own map. The map is divided into ten territories – nine of these represent the influence of a particular faction, while the tenth is the urban sprawl of Washington itself. Between these territories runs a swathe of neutral ground, containing several Special Locations. These locations will be vital to a group’s fortunes and will be hotly contested during the campaign. Each week you’ll get together with your friends to play through a game of All Out War. Following that, you tally up the results to see who has come out on top. That player will then be able to start claiming different areas on the map. Some of these areas may be special locations – such as a campsite, factory or farm – that allow Survivors to purchase new pieces of equipment in between games. We’re really excited about the scope of the map-based campaigns and will have more details as we approach the September launch. Finally, another exciting element to Fear the Hunters is the inclusion of a brand-new scenario: Free For All! This is a special scenario for three or more players that’s played on a 40”x40” gaming area, divided up into 16 10” squares. Each player is trying to score 15 victory points, which is done by collecting supply counters littered across the playing area. However, you’re going to have to be quick because the Threat Level ticks up as normal – and if it reaches the maximum, it’s game over and it counts as a draw. As such, controlling that Threat Level is going to be key… if you’re out in front you want to grab those last VPs but if you’re way out in back, it’s best to start causing Mayhem and bring the game to an end! So, as you can see, Wave Five is really shaking things in All Out War… and that’s before we even get to some of the new characters, like Abraham and Rosita. We’ll have more details on the next wave in the run up to launch but, in the meantime, what are you most excited about in Walking Dead’s future? 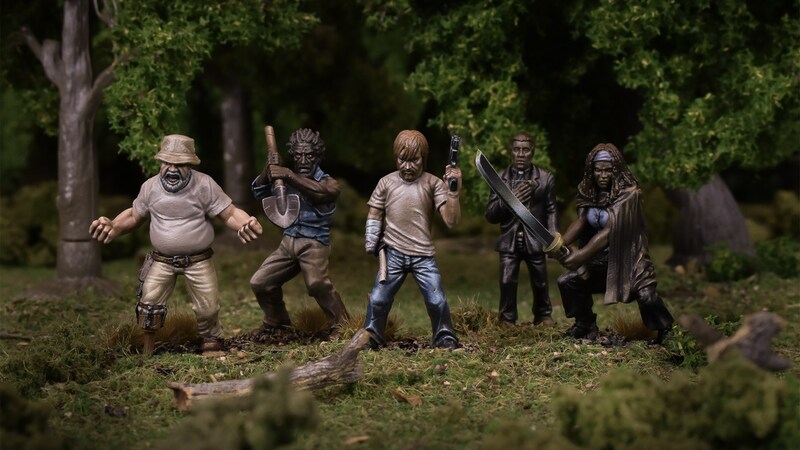 The post The Walking Dead Week: What’s in Wave Five? appeared first on Mantic Blog.